A microwave is a form of radio waves (electromagnetic radiation) at high frequency. Although primarily used in telecommunications and television broadcasting, their use in the kitchen for cooking food has become increasingly significant by the use of the microwave oven. These radio waves work by interacting with materials in their path. For instance, microwaves are completely reflected off metallic items, while they are readily transmitted through glass. Food materials, like water and dough, tend to absorb these microwaves and convert them to heat energy. This principle is the bedrock by which microwaves can be used in cooking. Having a basic understanding of microwave cooking can help you ensure that the food you consume is cooked safely, adequately, and uniformly, without loss of its essential nutrients. The process of cooking food using microwaves is all about absorption and heating. When microwaves are generated by the microwave oven, they get reflected by the metallic insides of the oven and are absorbed by the foodstuffs inside. Water molecules present inside foodstuffs, especially vegetables, tend to vibrate on absorbing this energy and convert it into heat, thus "cooking" the food. Hence, it can also be noted that food items with high water content are easier to be heated in a microwave oven. Foodstuffs with lesser water content may get unevenly heated; thus, precautions must be taken in the form of rotating the food in regular time intervals to achieve uniform heating. According to the World Health Organization (WHO), compared to other cooking methods, microwaving excels at specific heating, i.e., it heats the food rather than the oven, whereas when boiling or frying, the whole pan or vessel gets heated up. This reduces the time required for cooking. Boiling is another traditionally used method of cooking. When boiling foods, like vegetables, that have a high water content, there are chances of nutrients getting leached out into the water and later getting evaporated, thus resulting in “nutrition-reduced” or “nutrition-depleted” vegetables. While microwaving vegetables, one can find that microwaves simply heat the vegetables and there is a relatively lesser amount of nutrients leaching out from the food if they are not microwaved in a bowl of water. A lot of research has shown that there appears to be a minimal or negligible difference between the nutrition content of microwaved food and conventionally cooked food. Moreover, reheating of food items repeatedly using conventional means can cause degeneration of its taste and nutritional value. One of the other most common concerns about microwave ovens is that "microwaves emit radiation and can cause cancer". This is a popular opinion that is going around the internet through pseudo-scientific blogs and is being wrongly propagated in spite of a growing presence of rigorously tested empirical evidence. Both the WHO and the Food and Drug Administration (FDA), two credible health organizations, have clearly stated that microwaves do not cause cancer since microwaves get converted to heat energy when absorbed by food. They have also stated that the nutritional value of food is not downgraded by using the microwave oven and have even suggested that microwaving retains nutrients more than some other usual forms of cooking such as boiling, frying, or steaming. 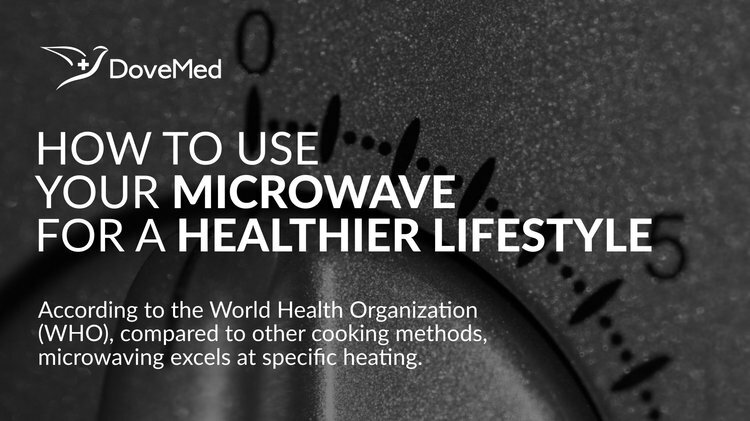 Thus, using a microwave has the potential to help one lead a much healthier lifestyle through food. Baysan, A., Whiley, R., & Wright, P. S. (1998). Use of microwave energy to disinfect a long-term soft lining material contaminated with Candida albicans or Staphylococcus aureus. The Journal of prosthetic dentistry, 79(4), 454-458. Gedye, R., Smith, F., Westaway, K., Ali, H., Baldisera, L., Laberge, L., & Rousell, J. (1986). The use of microwave ovens for rapid organic synthesis. Tetrahedron letters, 27(3), 279-282. Ozkan, I. A., Akbudak, B., & Akbudak, N. (2007). Microwave drying characteristics of spinach. Journal of Food Engineering, 78(2), 577-583.